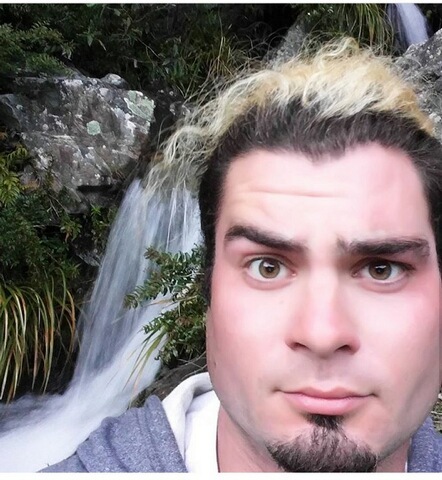 The American motorcyclist who was reported missing from Aorangi Mt Cook three days ago was found dead on Tasman Valley Road in the Mt Cook National Park Thursday afternoon, police said. He was Lucas Sven Halgren, aged 24 of the United States, who was working in New Zealand. More American ‘civilians’ are killed in New Zealand than in any other country in the world. More than 3,500 overseas visitors, international students, foreign workers, recent emigrants and refugees have lost their lives and 20,000 others seriously injured in New Zealand since year 2000. The family of Tama Retimana are desperately seeking answers as to how their loved one died. He was found deceased in the Waikato river on December 27th 2016. The victim had on only boxer shorts and socks when his body was found. Police are treating his death as suspicious. 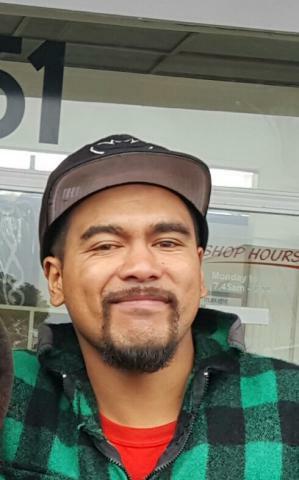 Father of two Tama Hurinui Retimana, whose body was discovered in Waikato River on 27 December 2016. He had on only boxer shorts and socks on when his body was found. Police are treating his death as suspicious. A person was killed in a water rescue (!) at Doves Bay Marina, near Kerikeri in the Far North. A few dozen professional demonstrators masquerading as “evangelical Christians” [aka Shabbes goy, the likes of George Bush, Colin Powell, Mario Cuomo and son et al.,] gathered in the grounds of Parliament today to express their support for the Zionist state. They were carrying banners proclaiming Israel to be the only true democracy in the Middle East, despite the country’s violent history since its inception. A UN resolution on the Middle East, introduced into the UN Security Council by New Zealand among others, called for a halt to Israeli settlement in the occupied territories. It passed by 14 votes to none, with the United States abstaining. The Violent State has since suspended diplomatic relations with NZ and several other countries. Central New Zealand has been rocked by yet another ‘severe’ shock this afternoon, measuring magnitude 5.5 and hitting near Seddon, followed by a 4.7 aftershock, Geonet said. 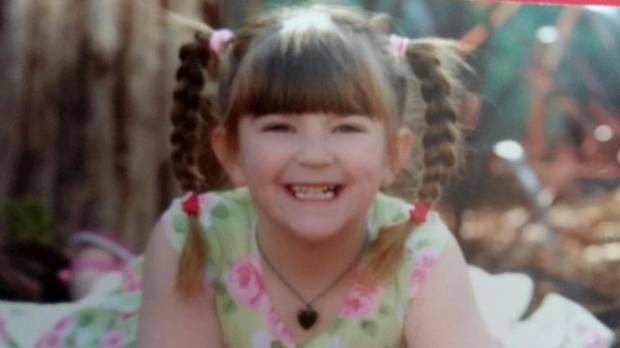 Danielle Joy Janssen-McVicar, 6, died in her sleep on Friday, December 23. Her sudden death occurred just two days after she had undergone surgery to have her tonsils and adenoids removed, according to reports. 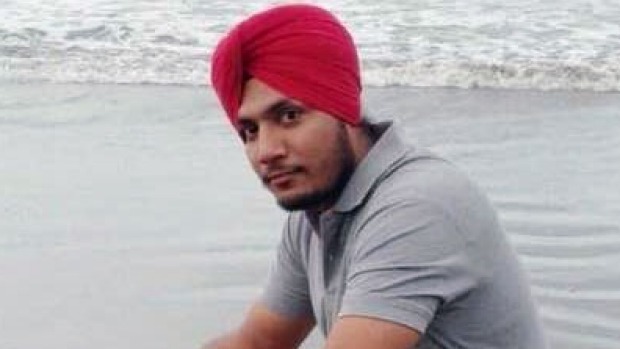 Hardeep Singh, 26, was stabbed at a property in Cashmere, Christchurch on Christmas Day. He died of his injuries at Christchurch Hospital two days later. The Ministry for Primary Industries (MPI) says one of its vehicles was responsible for the incident. 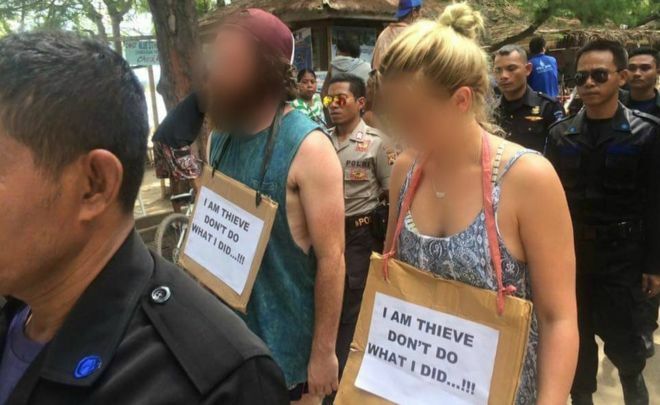 A British couple who had all their valuable belongings stolen from their campervan have traced their phone to an apartment block but can’t get to it. Climbing? Diving? Swimming? Driving? Flying? Playing? Walking? Shopping…, or simply asleep in your bed… Grim Reaper will be waiting for you! A man drowned after getting into trouble while diving off the coast of Riversdale Beach, near Masterton, this afternoon. The man was pulled from the water and given CPR by surf lifesaving staff but unfortunately the man could not be revived. The driver of a car involved in a collision with a tanker truck in Hawera earlier today has since died of his injuries in hospital. The crash happened near the intersection with Ohangai, Tawhiti and Ararata Roads around 9:30am. Hamilton Police are investigating after a man’s body was found in the Waikato River yesterday evening at around 7.00pm. The man is yet to be identified and a post mortem is being conducted this afternoon. A four-year-old boy has been injured in an incident at a children’s play facility in East Tamaki, South Auckland. Police were alerted to the incident at Bounce and Beyond at 12.20pm today. The boy has been taken to hospital in a serious condition. Three people were killed and two others injured following a fatal crash in Leeston, Canterbury early this morning. “A member of the public rang Police at approximately 2:20am after coming across car that had rolled near the corner of Harts Road and Southbridge Sedgemere Road. “The crash, between a motorcycle and a ute, occurred just after 7pm, near the bottom of the Rimutaka Hill,” police said. Hamilton. A woman has been transported to Waikato Hospital in a critical condition after she was hit by a car on Hukanui Road, Hamilton around 9:30pm tonight [December 23]. Her fate remains a state secret! Takapuna. A woman who was injured Friday evening after being struck by a car in Taharoto Road, Takapuna has died as a result of her injuries. One critical after Blockhouse Bay crash http://www.nzherald.co.nz/nz/news/article.cfm?c_id=1&objectid=11772621 Their fate remains a state secret! 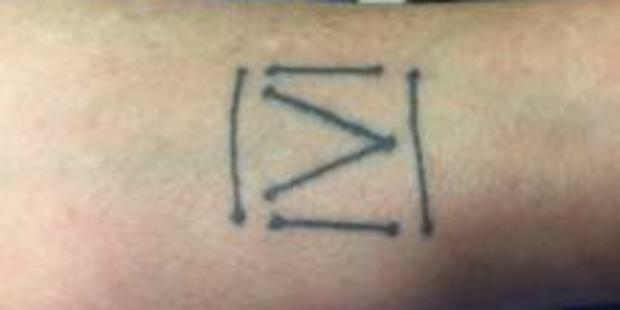 Police had earlier released photos of the victim’s slapdash tattoo, to help identify her. At least two people were killed and 45 others injured nine of them seriously, which were flown to hospitals in Gisborne and Hastings, following a bus crash on SH 2 near Wharerata, south of Gisborne late last night, police said. The bus carrying over 45 passengers crashed down a bank around 9:30pm on the road between Wairoa and Gisborne. The passengers are believed to be mainly Tongan school students, who are visiting New Zealand to fundraise for their school in Tonga. The group were travelling to Gisborne where they were due to perform as a band on Christmas Day. It is yet to be confirmed exactly how many people were on the bus when it crashed and Police are working closely with the group to ensure all passengers have been accounted for. The bus, with 46 brass band members from a college in Vava’u in Tonga, were on their way to Gisborne to perform at a church today. Two people are confirmed dead, one person is in a critical condition and one is stable at Hastings Hospital. A further person is in a serious condition at Gisborne Hospital and seven people are in a stable condition. The bus appeasers to have crashed through a barrier at about 9.30pm last night before plunging about 100 metres down a cliff on State Highway Two, about 30km south of Gisborne, police said. The location of the crash scene is approximately 100m down a steep bank. 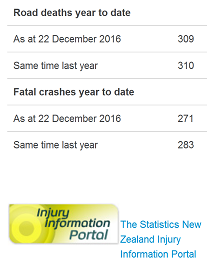 Serious Crash Unit have attended and report that the extraction of the bus is likely to be challenging and may take a number of days to complete due to the terrain and availability of the necessary heavy equipment during the Christmas period. Saturday, 24 December 2016 – Waitemata – Two bodies have washed up on Muriwai Beach since Wednesday. A man’s body washed up on Muriwai Beach, north-west of Auckland at approximately 10:25am this morning, police said. A person has died after getting into trouble earlier this afternoon in the Wainui River, Whakamarama, police said. “Emergency services were notified at 1.35pm that a person had slipped into a water hole while walking down to the river with two friends. Another young German woman killed in New Zealand. The latest victim of Ninety Mile Beach drowning was a German woman. Carolin Klara Emma Jentsch, 23, drowned at Ninety Mile Beach on Wednesday 14th of December 2016, police said. Hamilton. A woman has been transported to Waikato Hospital in a critical condition after she was hit by a car on Hukanui Road, Hamilton around 9:30pm tonight. New Zealand refugee advocate Kailesh Thanabalasingham lost his wife, 39, son, 5, and mother-in-law, 66, in a fatal house fire on Thursday. His 11-year-old daughter and 69-year-old father-in-law escaped the fire in the south Auckland suburb of Flat Bush. It’s unclear whether the deadly fire was accidental or a racially motivated attack. Hallelujah, Praise the Ministry of Transport: Two dead drivers resurrected in 24 hours! Yesterday, Ministry of Transport (Minitru) resurrected a dead driver, to make the road toll look less deadlier than last year’s. Today, they did it again! Who was the recipient of Wednesday’s Miracle? Today, another dead driver was given a second chance, at least on paper! 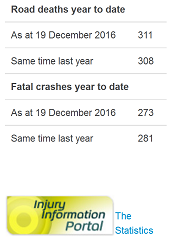 Their divine intervention also meant the road toll to date would be lower than last year’s! A man his 30s or 40s reportedly died from a heart attack while in a car on State Highway 1 in Christmas traffic near Wellington. NZ Ministry of Transport resurrects another dead driver! This page was hacked, probably by the authorities. It’s updated on December 22, with the hacked dates corrected. 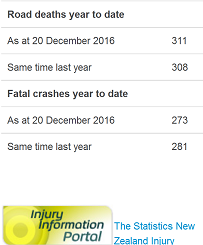 What happened to road fatalities in New Zealand? 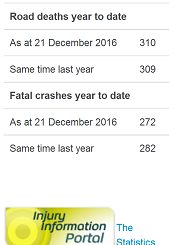 Never mind the Xmas holidays’ news blackout on road fatalities, Ministry of Transport (Minitru) has just resurrected another dead driver! Who was the recipient of this Miracle? A member of the public discovered a body washed up on Muriwai Beach, north-west of Auckland. What does it take for New Zealand’s biggest airport to become paralysed? Apparently, just an overturned truck! “Frantic travellers rushing to catch flights abandoned their vehicles and started walking to Auckland Airport after a crashed truck completely blocked the main route to the airport from the north,” said a report. It’s unclear what actually happened to the abandoned cars, if in fact the passengers were the drivers. The truck rolled about 4.20pm on Tuesday, completely closing the southbound lanes for nearly two hours. Police have released the name of the man who killed while on a hunting trip in Tora bush over the weekend. He is Trevor Patrick Burke. Cause of death: undisclosed! Yesterday around 12pm Police were called to assist the Fire Service in dealing with a large blaze on Okahutiria Road, Waverley, Taranaki. The man killed in a quad bike crash at Port Waikato on December 17th 2016 was Horace John Dulieu, who lived in Helensville. Carolin Klara Emma Jentsch, 23, a German national, drowned at Ninety Mile Beach on Wednesday 14th of December 2016, police said.